The first post in this series, if you haven't read it, is at, "Who is Erik August Söderlund." I am gathering the information I have regarding Erik August Söderlund and putting it in a basic timeline order. Then I will know what I want to look for next. Better yet, I will see how my last "magical find" fits in! (A) Swedish Church records state Erik August Söderlund was born January 4, 1869 in Forss, Jämatland, Sweden. 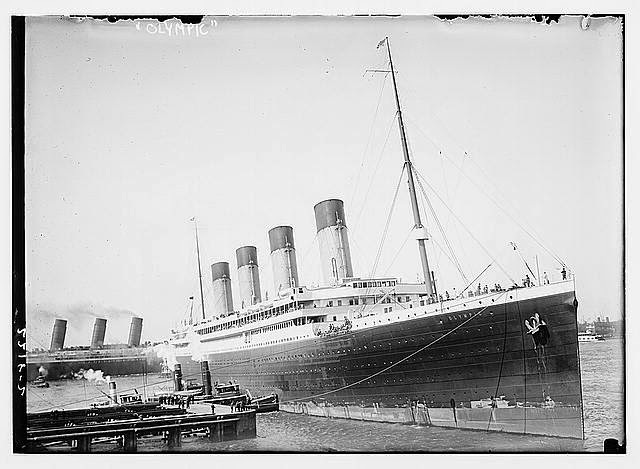 (B) In July 1891 Erik emigrated to the US sailing aboard the White Star Liner. He sailed from Liverpool. (C) On April 21, 1917, Erik applied for an Emergency Passport. (This is recent "new" news to me, I was unaware there was an "Emergency" Passport Application) The application was for himself and one for “adopted daughter” Signe Lindberg (Lundberg), sister to my grandfather Erik Hjalmer Lundberg. Erik Söderlund’s Emergency Passport Application states he was 48 years old (b. 11 January 1869) and stood 5 foot 7 inches. Details on the form say he had a high forehead, blue eyes, and a straight nose. His medium mouth adorned a mustache. A pointed chin, dark hair and dark complexion, as well as an oval face completed the description of Erik. It is so much fun to “see” how our ancestors and other family members looked. I am grateful for the description on the application. Adopted daughter Signe Lindberg’s (Lundberg) application states she was 12 years old, 4 foot 7 inches tall. She had a round face, blue eyes, and a high forehead. Her complexion was fair and she had brown hair. The nose on Signe was regular (I wonder what would be an irregular nose, maybe a broken one?) her mouth small, and chin round. Erik Lindberg (Lundberg) would have been 8 years old at this time. I have not yet found an Emergency Passport Application for him although he made the trip also. The Emergency Passport’s for Erik Söderlund and Signe Lindberg (Lundberg) were issued June 3, 1902. They were only good for 2 months. More of this timeline to come soon.